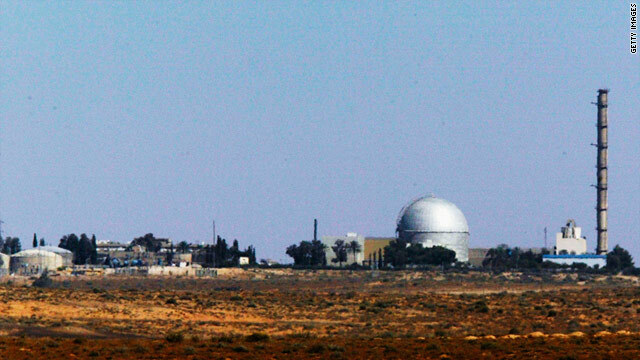 Israel's Dimona nuclear reactor. Israel is the only country in the Middle East that possess nuclear weapons. BEIRUT — Mutual Assured Destruction (MAD), the doctrine of military strategy and national security policy in which a full-scale use of high-yield weapons by two opposing sides would effectively result in the potential annihilation of both the attacker and the defender, thus becoming a war that has no victor but only reciprocal destruction is increasingly becoming relevant to the Iran/Israel regional confrontation. MAD is based on the theory of deterrence according to which the deployment, and implicit menace and threat of using massive weapons is essential to threaten the enemy in order to prevent the use by said-enemy of the same weapons against oneself. The strategy is a form of the famed mathematician, John Forbes Nash (“A Beautiful Mind”) game theory equilibrium in which neither side, once armed, has any rational incentive either to initiate a conflict or to disarm. The Mad Doctrine assumes that each side has enough weaponry and military tenacity among its forces to destroy the other side. That being the case, if either side is attacked for any reason by the other, the country attacked would retaliate without with equal or greater force. Some Pentagon analysts with much experience with MAD as part of U.S. and USSR strategic doctrine during the cold war believe that curtailing Israel aggression and even preventing nuclear war in the Middle East could best be prevented if neither Iran nor Israel could expect to survive a full-scale exchange as a functioning state. 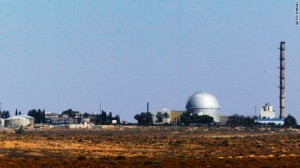 Although the Cold War ended in the early 1990s, the doctrine of Mutual Assured Destruction continues to apply and increasingly between Israel and Iran. In recent months “the imminent threat” of Iran has become shriller from the US-Israel and its “international community” allies. The people of the world on the other hand are increasingly viewing Iran’s strong military position rather differently. This is true not only among Middle Eastern countries but also among the 120 member nonaligned countries that support Iran’s right to enrich uranium. An opinion survey conducted by WorldPublicOpinion.org is also reporting this week that a record high 75% of the American public favors an immediate withdrawal of U.S. forces from Afghanistan and a majority does not view Iran as a threat. As pointed out recently by Professor Noam Chomsky, Europeans regard Israel, not Iran, as the greatest threat to world peace and are worried about the dangers it poses in the Middle East. The survey concludes that while Iran is disliked by some Arab regimes, it is seen as a threat only by a very small minority. Israel and the U.S. are regarded as the pre-eminent threat. A majority think that the region would be more secure if Iran had nuclear weapons: In Egypt on the eve of the Arab Spring, 90 percent held this opinion, according to Brookings Institution/Zogby International polls. Moreover, China and Russia oppose U.S. policy on Iran, as does India, which announced that it would disregard U.S. sanctions and increase trade with Iran. Turkey has followed a similar course. Their populations tend to favor a strong Iran as deterrence to Israel’s history of aggression. There is little credible discussion of just what constitutes the Iranian threat, though we do have an authoritative answer, provided by U.S. military and intelligence. Their presentations to Congress make it clear that Iran doesn’t pose a military threat. In numerous presentations to Congress by U.S. military and intelligence officials, its strategic doctrine is defensive, designed to deter invasion long enough for diplomacy to take effect. If Iran is developing nuclear weapons (which is still undetermined), that would be part of its deterrent strategy with potential benefits for peace in the region. The understanding of serious Israeli and U.S. analysts is expressed clearly by 30-year CIA veteran Bruce Riedel, who said in January, “If I was an Iranian national security planner, I would want nuclear weapons” as a deterrent. One pillar of the current mutual deterrence status between the growing Resistance Alliances confronting Israel is the prevailing weapons ambiguity of Hezbollah. During Israel’s 5th war against Lebanon in July 2006, the National Lebanese Resistance led by Hezbollah is widely known, for a variety of reasons including suggestions from allies, including Iran, to have held back on using its most devastating weapon(s). This is unlikely to the case in the next war. Syria also did not contribute to its allies her most powerful weapons in 2006, and it remains unclear which of its current weapon systems would be available to its allies to be used against Israel given the current uncertainty in Syria. According to Israeli officials, hundreds of Hezbollah fighters have been receiving training in the use of advanced anti-aircraft weapons in Syria and Iran in recent months; in a development the Israeli military says absolutely jeopardizes its aerial supremacy. Russia also sent Syria other modern antiaircraft missiles last year, including about 40 SA-17 Grizzly missiles and two medium-range SA-17 Buk systems, according to SIPRI. In addition, Israel believes Russia has recently delivered upgraded versions of the MiG-29 combat aircraft to Syria and has upgraded hundreds of T-72 tanks every year since 2007, fitting them with far more modern weapons and that National Lebanese Resistance fighters led by Hezbollah have been training on these weapons. Tactical ambiguity about Resistance weapons and exactly which weapons of mass destruction may have been placed along Israel’s borders and aimed at key military centers has led to more frequent Israeli movements along the northern border of occupied Palestine with Lebanon and on the Golan heights. Rumors range from nuclear weapons to “dirty bombs.” What exactly is the truth adds credence to the growing deterrence status between Iran and Israel. Speaking at a ceremony honoring past Hezbollah commanders, Vahidi said that “Israel is weaker than it has ever been and its army is tired and humiliated…. This is why it is trying to solve its problems by talking about taking action against Iran. But these are ridiculous statements. Iran’s warriors are ready and willing to retaliated and destroy Israel and we have the capacity to do so,” he declared. U.S. and Israeli intelligence staff are said to take the current growing MAD status between Iran and Israel as seriously as it was taken during the cold war period. If both parties continue taking it seriously a major war in the Middle East might be avoided. Meanwhile, the 17-agency U.S. intelligence community continues perhaps its most pressing assigned task, and that is of developing the capacity for the U.S. to block Israel’s triggering a nuclear weapon.